This is Part 6 in the series titled Plyometrics, Ground Contact Time, and Sprinting. What the heck is Dynamic Isometrics? This is not to be confused with regular isometrics as I discussed in the past article on Isometrics and Core training back in 2009. In a way, I’ve been doing them for years without knowing it. For example, in the bench press, I would do 3 x 3 with 275 lbs (125kg) as my goal was benching 3 plates on each side (315lbs or 140 kg). Instead of a the standard movement of “up and down”, I would take the bar off the rack, slowly with control going down until it touched my chest, pause, then explode up on a rapid but controlled movement. Rinse and repeat. I called them 3-pause-3. Dynamic Isometrics are a form of weight training where a prolonged stop is maintained at a specific joint angle within the range of motion during an exercise. In this case, the arms are in a position to throw or push. Sarcastically, I don’t know of an Olympic sport where you are lying down on your back with someone sitting on your face, and you have to push them off! 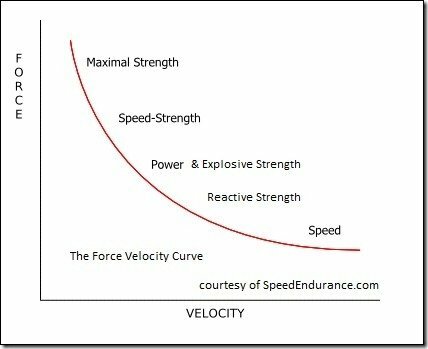 You’ll have go back and review Plyometrics, Ground Contact Time, and Sprinting (Part 4) to understand all the different types of strength training. With baseball (and track) a “game of inches”, that first step is important! You can thank Michael Yessis and the Secrets of Soviet Sports Fitness and Training for making Dynamic Isometrics popular. Back in 1987 he described the “delayed squat” where you do several “stops” before the explosive concentric phase. slowly descend by bending hips and knees until there is a 160° angle in the knee joints, and hold this position for 3-4 seconds. Lower with the same controlled speed until there is a 145° angle in the knee joint, and hold again for 3-4 seconds. and then finally to 90° and hold again. Rise in an explosive push, if you can! As you can see, the whole movement takes 12-16 seconds. This method develops explosive power out of a static position. Another study came from Weineck 2004 and they suggests 6 sets 6 repetitions using 60-70% of the one repetition maximum, but I think that is overkill. I like bench press for 2 reasons: bragging rights, and holding my arms steady in the SET position. For sprinters and developing leg power and strength, you can use angles of 129 and 95 degrees, since those are the numbers coming out of the blocks “SET” position. Even back in 2007, Ralph Mann suggested you train at those angles with the force-velocity considerations. Optimal theoretical starting “set” position. Illustration by Derek Hansen of Running Mechanics. Using a squat rack, lift the bar off the rack.